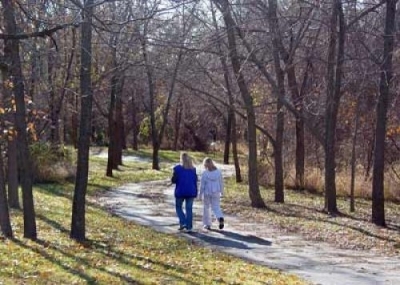 The Gary L. Haller Trail within the Mill Creek Streamway Park, starting in Olathe and continuing north through Lenexa and Shawnee, is one of the more scenic and well used multi-use trails in the Kansas City metropolitan area. Streamway Park KS Shawnee Mission Park to Mahaffie House. 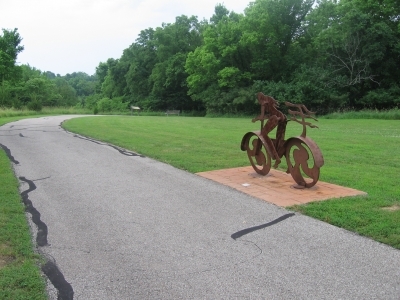 In 2000, following the completion of the final two phases of the 17-plus mile trail funded with assistance from the Intermodal Surface Transportation Efficiency Act (ISTEA), a community celebration was held recognizing the significant accomplishment of completing the longest continuous trail in Johnson County. The celebration was well attended by politicians, public servants and citizens demonstrating their appreciation for the facility. 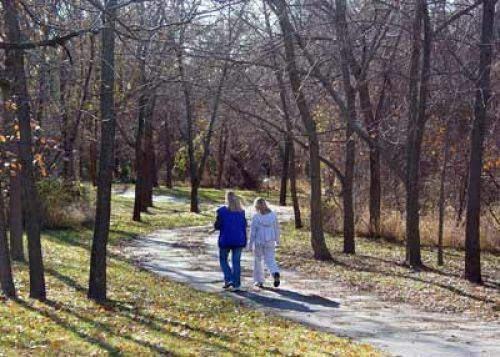 The completed facility has eight (8) public access locations with a variety of amenities, including restrooms, water fountains, play structures, shelter houses, bicycle parking and signage. The completion of the trail was recognized as a “Millennium Trail” by the White House Millennium Council. When the Streamway Parks System was first proposed in 1980, the trails and greenways were to act as the backbone of an inter-connected system of trails that connect residential units to places of employment, parks, schools, churches and shopping areas. In order for this concept to become reality, local units of government were to adopt the plans developed by the District and to coordinate development surrounding the trail. 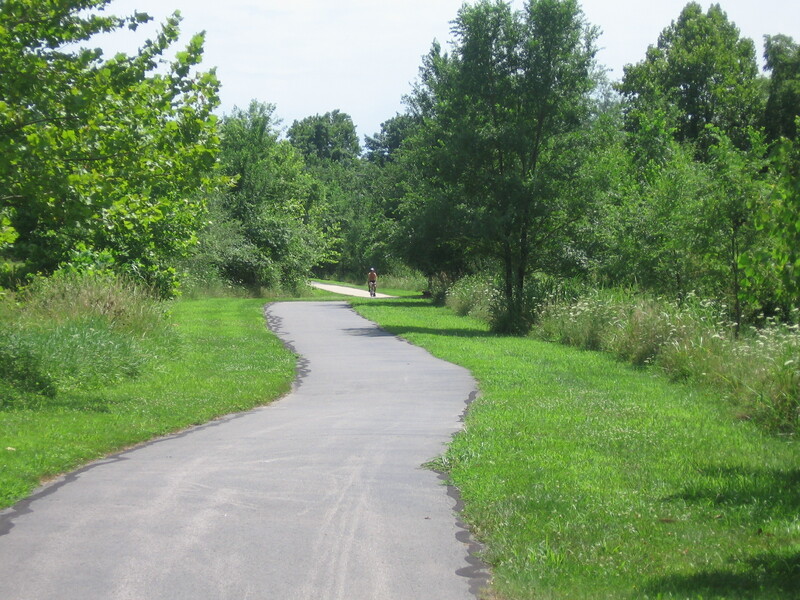 This has definitely been the case with the three cities bisected by the Mill Creek Streamway Park. 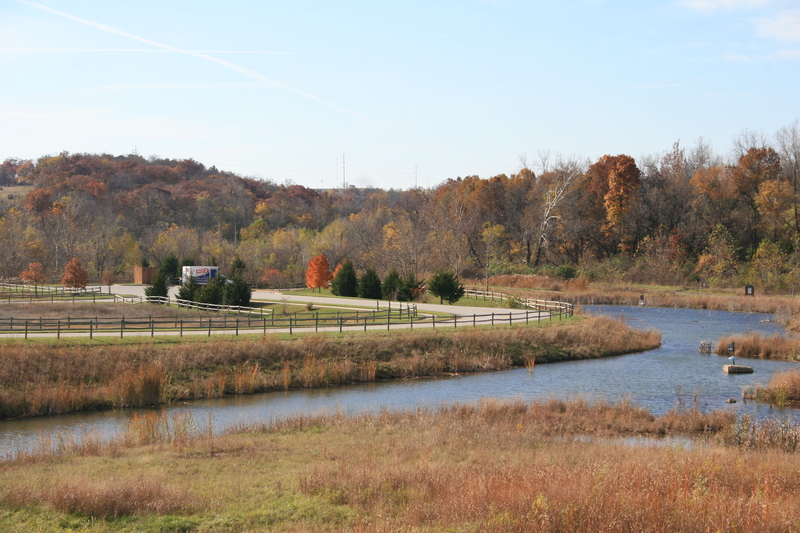 The Cities of Olathe, Lenexa and Shawnee have all built trails linking into the larger valley and thereby connecting its residents to a lengthy system of trails, fulfilling the original mission of the plan. Trail art. Photo by Bill Maasen. Bike tunnel. Photo by Bill Maasen. Frozen creek and bridge. Photo by Bill Maasen. 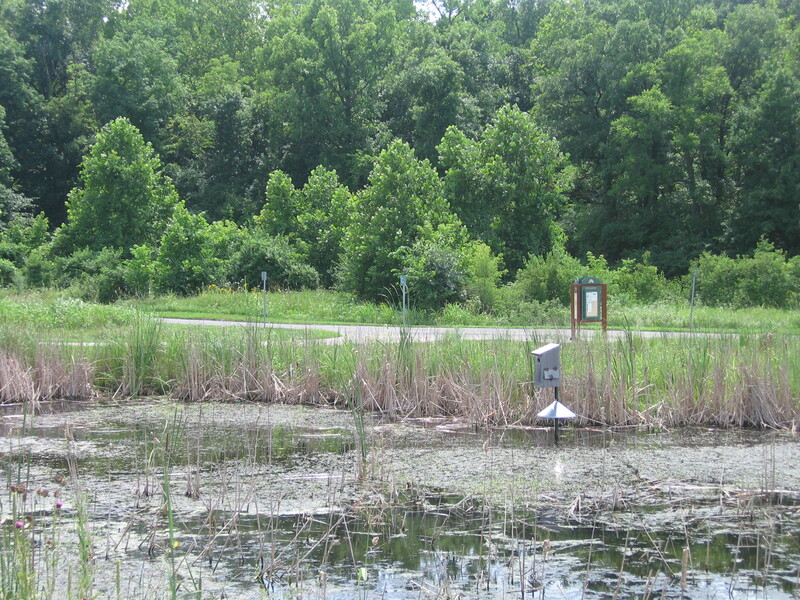 Prairie Star access. Photo by Bill Maasen. Tunnel trail. Photo by Bill Maasen. 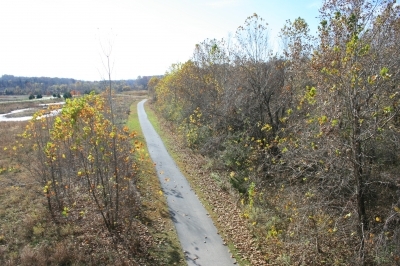 View from above trail. Photo by Bill Maasen. Wetland area. Photo by Bill Maasen.